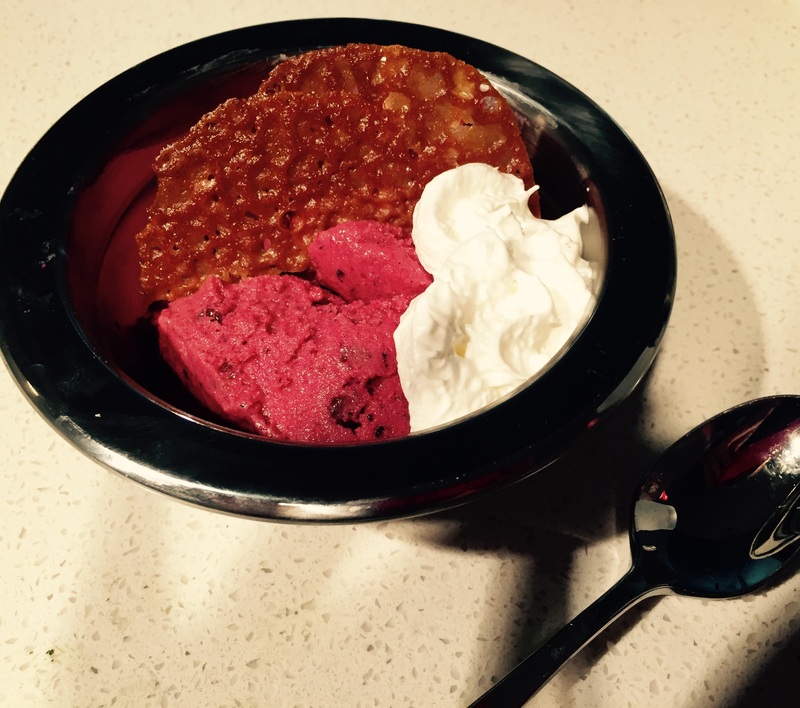 Deep into my health kick, I’ve found the most wonderfully simple dessert recipe… and just in time for Valentine’s Day! Finally, a dessert with the caloric verdict: Not Guilty! This seriously takes five minutes to make and seems and tastes super impressive. 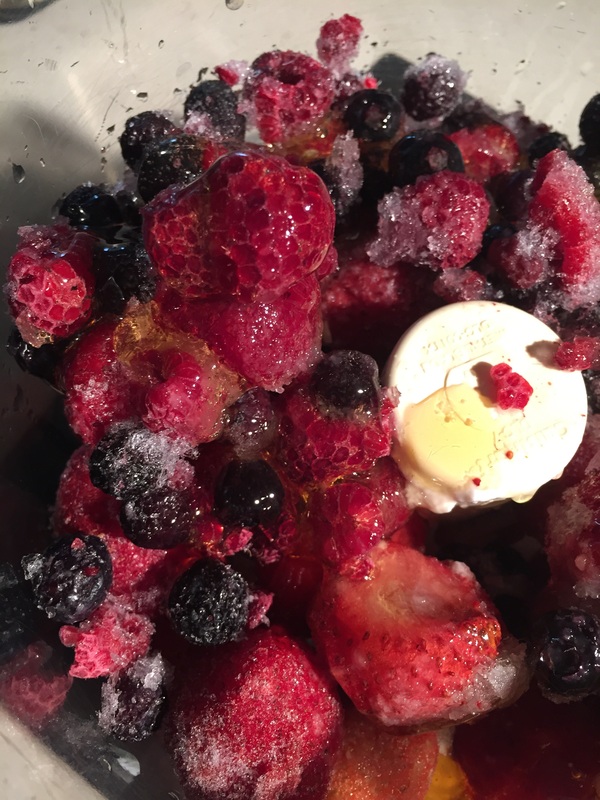 Pulse everything in your food processor for approximately 5 minutes, or until berries have been decimated. Then, stir in a few mini chocolate chips for good measure. Eat immediately or freeze for later. Oh la la! If you really want to impress your sweetie’s sweet tooth, serve, with a lacey cookie (recipe below). Again, so easy! The batter is ready before the oven even heats up. Drop ½ tsp of batter onto baking sheets leaving about 3″ between as they spread a lot! Dayum! That looks good. Might have to try this one.